Dubai: Do you want to save on rental payments? Tenants in Dubai operating on a tight budget are better off looking at living options in Discovery Gardens (rents down 17 per cent in the 12 months to end Q4-18), Jumeirah Village (down 14 per cent) and Sports City (also lower by 14 per cent), according to data from the consultancy Core. This pressure on rents will continue, “As competition intensifies in the lower end of the market with more options becoming available, either within the community or in nearby communities,” the report notes. But for those further up the rental chain, there will be drops, but not of the same proportions. This could be the state in Dubai Marina, JLT, The Greens and Downtown. But for now, landlords in Dubai are prepared to be generous with their demands … at least the majority of them. Because there is no denying that this year could see a record inflow of newly built homes getting handed over, with upwards of 25,000 units being the conservative estimate. Between 20,000- to 25,000 units were handed in last year. “The rental market [will] continue being tenant-friendly, with landlords reducing rents during renewals to retain and maintain occupancies, with many also open to multiple cheque payments,” said Edward Macura, Partner at Core, said in a statement. But even within the many residential property categories, there are variations in the rental patterns. “We are seeing larger villa and apartment units seeing higher levels of rental drops while studios and one-beds display relative resilience,” the report adds. 2019 and 2020 are critical years in Dubai’s growth trajectory. Although the pace of price softening has relatively slowed, we expect a lag in sales and rental price recovery as existing vacant stock and future supply over the next couple of years is expected to outpace steady demand. The biggest rental drops among villa communities were in the super-premium Emirates Hills and Jumeirah Park, down by 14 and 13 per cent, respectively. The upper-mid Jumeirah Village Circle and Triangle clusters were lower by 11 per cent in a year-on-year time frame. Developers seem to be adjusting to these shifts — January proved quite a busy month for off-plan launches and sales. Buyer demand was most visible for mid-market three- and four-bedrrom town houses coming at Dh1.5 million to Dh2 million. At Dubai South, there were launches for similar properties, but with the price point at Dh1 million. The big names are also testing out tower concepts, and nothing gets bigger than the 550-metre high Burj Jumeira from Dubai Holding. Sobha Realty launched a twin-tower at its $4 billion Hartland development and plans a super-tall tower announcement towards the end of the year, also at the same destination. 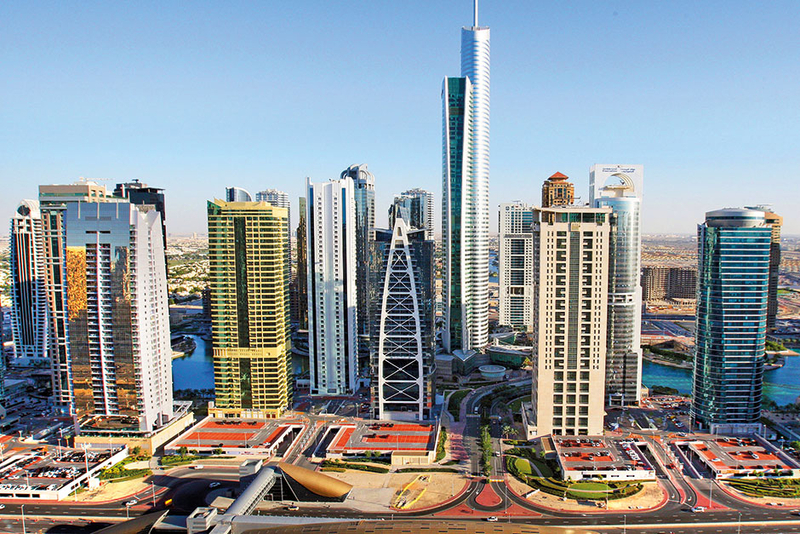 According to Macura, “2019 and 2020 are critical years in Dubai’s growth trajectory. Although the pace of price softening has relatively slowed, we expect a lag in sales and rental price recovery as existing vacant stock and future supply over the next couple of years is expected to outpace steady demand. Much of the new supply is in the mid-market space. Some 28,000 units are projected for handover this year, of which the “majority are in the affordable to mid-market segment in the outer areas, with Dubailand and Jumeirah Village Circle and Triangle accounting for one-third of all handovers,” according to Core.